I hope you never have a Stolen-Cell-Phone. There are a couple simple things to do BEFORE to make it much less painful if this happens. Write down the Serial Number or ESN for your phone and the toll free phone number to the phone vendor. If you have more than one phone write down the Phone number also. Write these numbers down on an Emergency Number Card and put it in your wallet or purse. This is important with pay as you go phones like Tracfone, Net10, etc. because someone can burn up your minutes quickly after they steal your phone. Motorola Tracfone W376, Net10 Lg 225, Tracfone Motorola C261. Write down the important phone numbers out of your phone. If you are like me once you put a number in your phone you no longer remember it. I am lost for phone numbers without my phone. If you carry a couple of Charge cards you might put those numbers down also with the toll free number of the bank. What to do if your Phone is Stolen or Lost. Call your Cell phone provider immediately with your phone number, ESN (phone ID) and get your service suspended. You may be able to salvage your minutes and access if you get a hold of your vendor soon enough. Verizon, Tracfone, Net Ten, Cricket, Simple Freedom all have different policies on stolen cell phones. Net10 and Tracfone will shut off your phone so the person who now has it cannot use it. You will have to call them several times to get them to reissue your unused minutes unless you get the phone back. They will get you your old phone number back for you but it will take up to 30 days for them to get it back. Recently while traveling I had both my laptop and cell phone stolen. I was devastated. I lost a lot of articles that I had written that were in my laptop. One of the hardest things was I did not have all the numbers in my cell phone backed up. I normally just add phone numbers to my phone as I use them. I keep the old phone with all my numbers in it and slowly add the new ones. My old phone with all the numbers was the phone that was stolen. 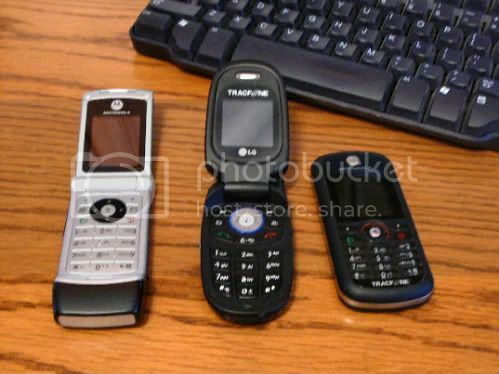 I wish Net10 or Tracfone would come out with a phone that I can easily back up my phone book to my computer. A friend of mine's wife lost her cell phone and charge cards. He decided not to report the Stolen-Cell-Phone and charge cards because whoever stole them spends less than his wife. Stolen-Cell-Phone? What does Tracfone Do? Lost or Stolen-Cell-Phone? What does Net10 Do?